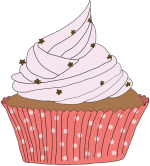 The Friends of the Barrington Library is pleased to announce the 4th annual Just Desserts: a Baking Competition and Community Event on Saturday, November 3 from 4-6 PM at the Barrington Library. The Friends is pleased to announce this fun event that raises money to support library programs and materials, while sending participants into caloric overload (but just for one day). Tickets will be on sale at the library, $5 each.